The original HP Cyan ink cartridge designed for the HP OfficeJet Pro 8600 series printers. A high-quality is ensured by a pigment-based ink. The precise processsing of the cartridge guarantees maximum reliability and consistent high-quality prints for the entire lifetime of the cartridge. The cartridge can print up to 700 A4 pages at 5% coverage. For shipping to other EU countries visit this page HP CN050AE No. 951. Chcete doručit zboží do Česka? 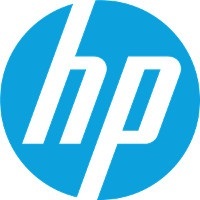 Prohlédněte si HP CN050AE č. 951 azurová. Chcete doručiť tovar na Slovensko? Prezrite si HP CN050AE č. 951. Für Versand nach Österreich, besuchen Sie bitte HP CN050AE Nr. 951. Magyarországra történő kiszállításért tekintse meg ezt a termékoldalt: HP CN050AE No. 951 azúrkék.